His power: If it involves ice, Iceman can probably do it. Make ice out of moisture in the air? Check. Turn his body into ice? Check. Make big ice slides to move around on? Check. He can also cool anything by touching it, lower the temperature of a room, and create huge walls of ice for defense. His story: Iceman never told his parents he was a mutant when he enrolled in Xavier’s School For Gifted Youngsters, where he’s been learning how to control his ice-based powers and finding young love in the process. He plays an auxiliary role in X-Men as the object of Rogue’s affection, but Bobby gets more screen time as their relationship evolves in X2. Bobby, Rogue, and their flame-controlling schoolmate, Pyro, function as a unit at the start of the film, escaping Col. Stryker’s attack on the school and hiding out in Bobby’s childhood home. It’s here that Bobby comes out as a mutant to his family in one of the franchise’s most overt queer metaphors, but the family reunion is cut short when Bobby’s mutant-hating brother calls the police. Saved by Storm and Jean Grey, Bobby and his friends regroup before embarking on a mission to save Cyclops and Professor X from Stryker’s Alkali Lake base, and while Bobby and Rogue don’t see much action, they help the X-Men fly to safety after Stryker’s plan is foiled. Bobby’s romance with Rogue is one of the many subplots in X-Men: The Last Stand, and his friendship with Kitty Pryde compels Rogue to seek out the newly developed mutant cure. Rogue views every moment of platonic physical contact between Bobby and Kitty as a threat, and Bobby follows his girlfriend when she flees to Worthington Labs for the cure. Iceman has a brief tiff with his old friend Pyro (still working with Magneto) outside the building, which is just a precursor to a later, bigger fight between the hot and cold mutants when Magneto’s brotherhood attacks the lab. Turning his body to ice for the first time, Iceman takes out his rival and ultimately reconciles with Rogue, who chooses to still take the mutant cure. 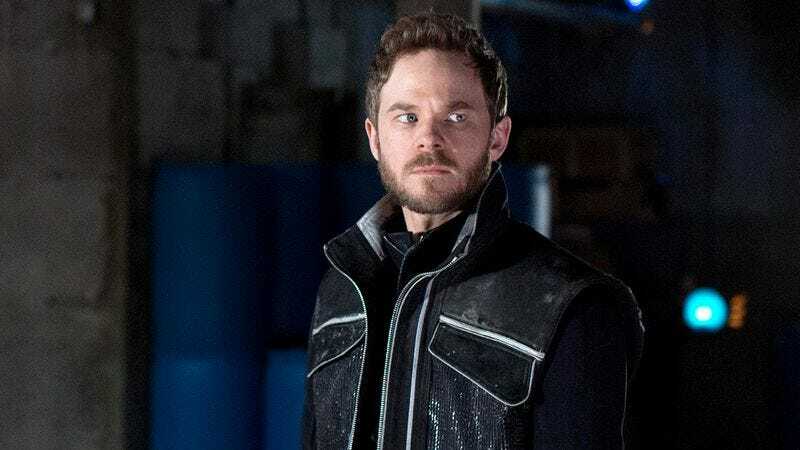 In Days Of Future Past, Iceman is one of the mutants who is killed twice by Sentinels, but he’s fine in the end, back together with Rogue in the new timeline created by that movie. Currently, Iceman is: A present-day X-Man, which likely means he’s also teaching classes at Xavier’s School. Where will we see him next? Iceman isn’t slated for any future X-Men appearance, and it will be at least another decade in the XMU timeline before he shows up in an X-sequel (though he could appear in one of the proposed spin-offs like X-Force, New Mutants, Gambit, or Deadpool 2).